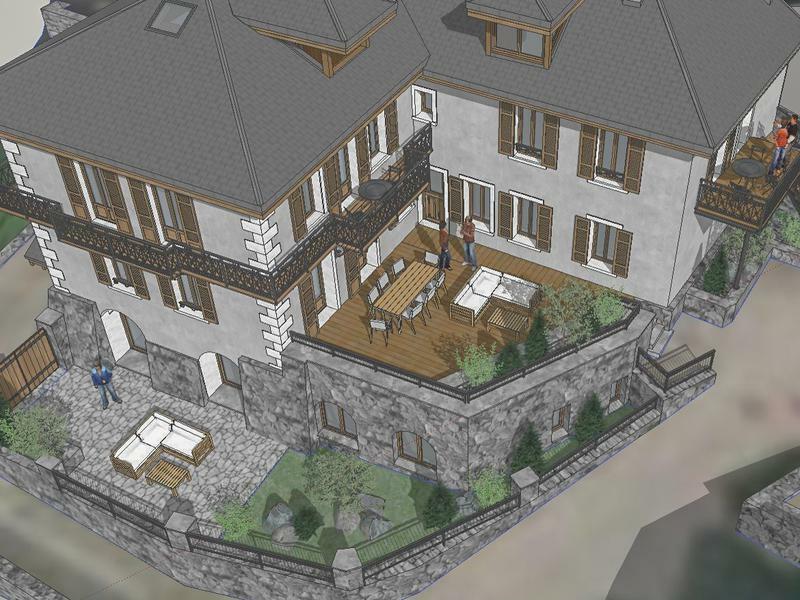 This stunning new apartment will be part of a very unique and exciting development of 4 luxury apartments sold off-plan, and is ideally located right in the centre of the beautiful ski resort village of St Martin de Belleville. 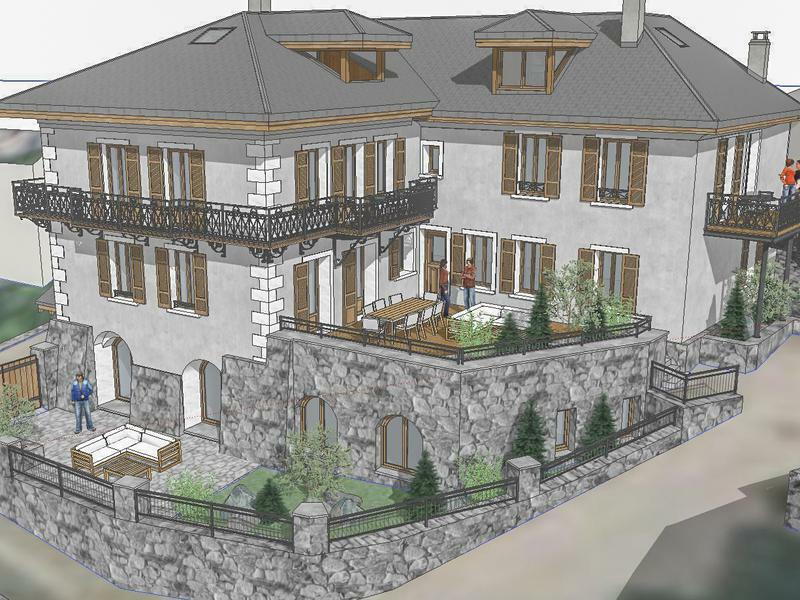 This apartment of 91.10sqm, situated on the ground floor of the building, will be equipped with 3 bedrooms - all with ensuite bathrooms, a separate toilet, a terrace with beautiful views, and a large living, dining and kitchen area. 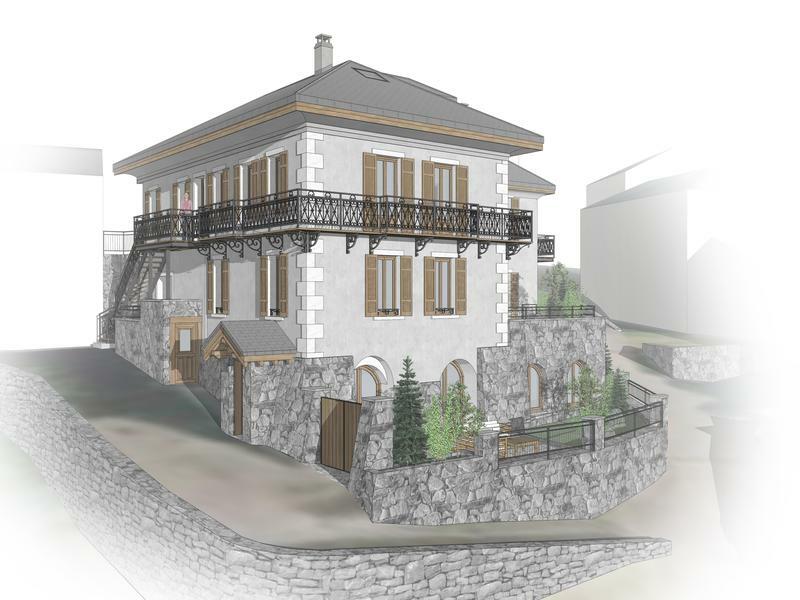 Nestled right in the heart of St Martin de Belleville next to the historical church and village square, this new development is a complete renovation of a heritage building in collaboration with a reputable local developer. 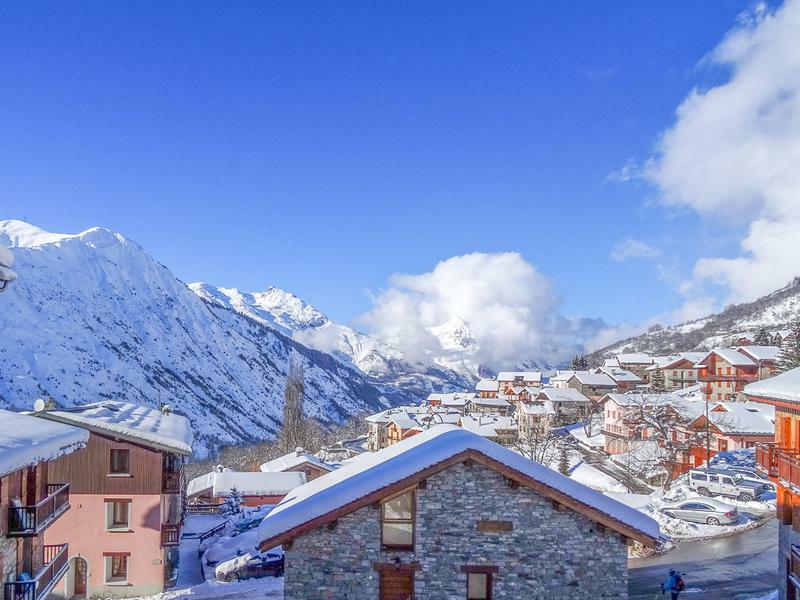 This apartment makes for a fantastic mountain home within a short stroll to the ski lifts offering direct access to the 3 Valleys ski area and close to the shops from which you can still also enjoy village life both in the winter and summer. 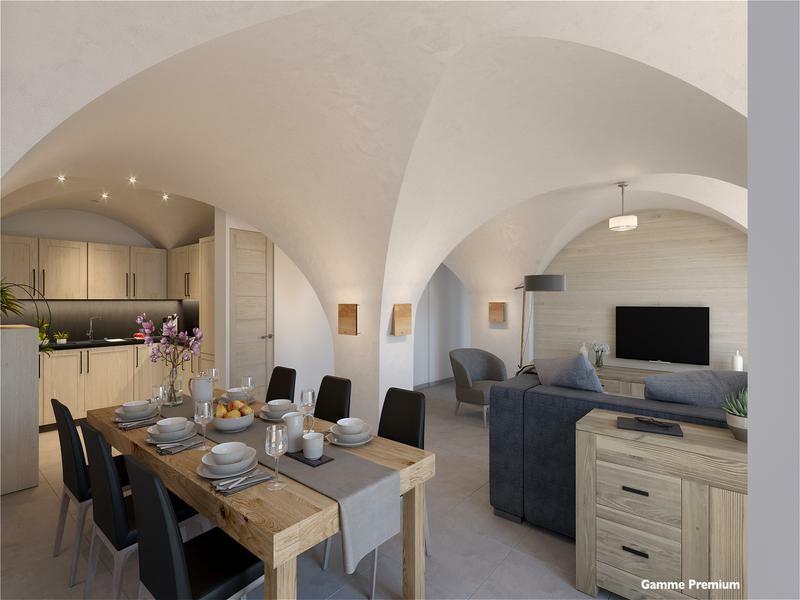 As you enter the apartment, you will have a spacious, open plan living space which will boast a stunning vaulted ceiling throughout. This open plan living space includes a dining area, lounge, and a fully equipped high quality kitchen, with double doors opening out onto a large terrace, perfect for enjoying the mountain views and the sunshine in the summer months. The terrace is large enough to install an outdoor jacuzzi if you wish. 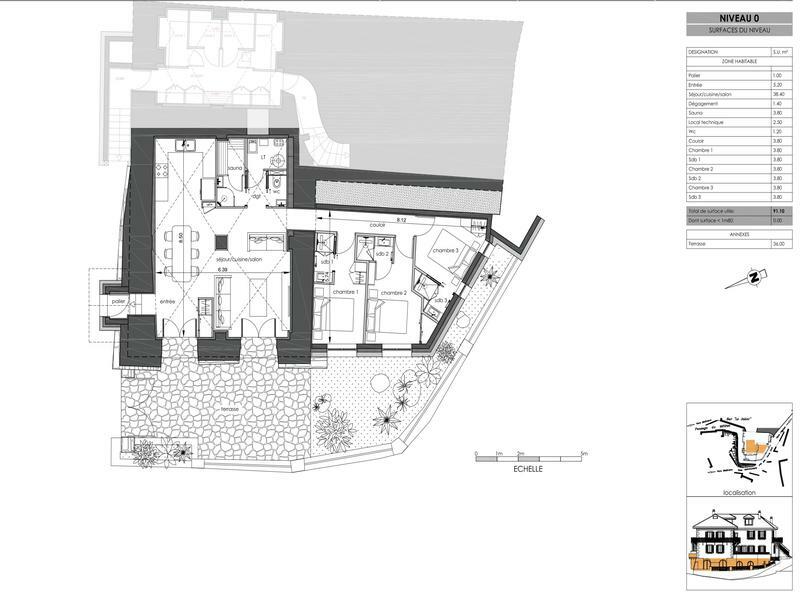 Off of the living area, there will be a laundry room, a separate toilet, and a sauna. 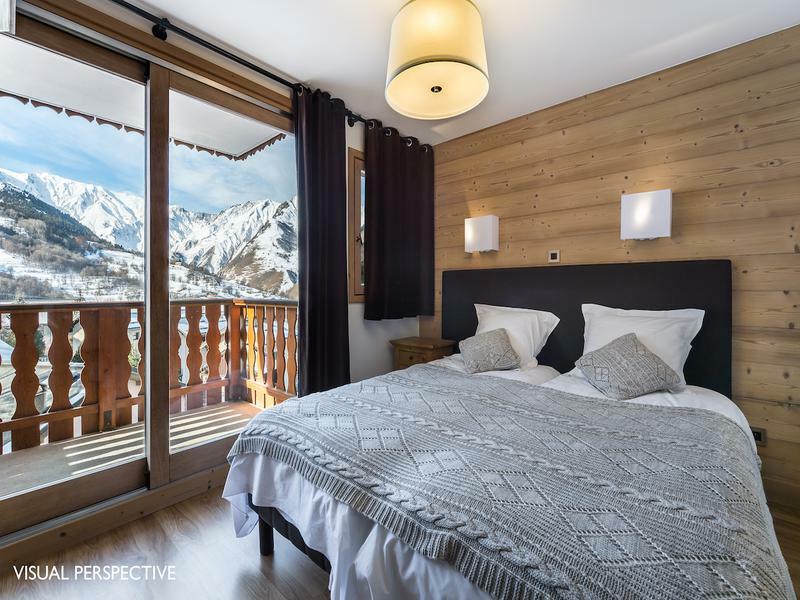 This property will boast 3 double bedrooms, each complete with their own ensuite bathrooms, and will be sold with its own ski locker and cellar. This new development consists of 4 stunning apartments ranging from 86sqm (3 bedrooms) to an apartment of 139sqm (4 bedrooms). The beauty of this project is that it offers the possibility to personalise the level of finish to create a truly bespoke apartment in the heart of St Martin de Belleville. 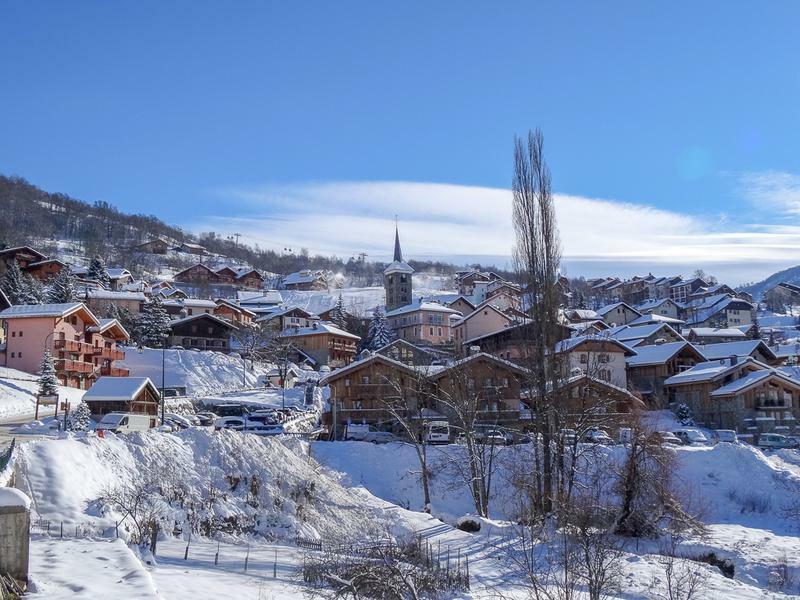 The village itself, as well as the valley it sits in, is bustling with life all year round, with a huge variety of summer activities on offer as well, meaning this property really would be an investment you could benefit from throughout the seasons both as your home in the mountains or as a property with great rental potential. Please contact us for more information on this exciting new development or our other properties for sale in the Belleville Valley.